Choosing to salvage a relationship after your significant other has committed an act of infidelity can be a painful task. I know from personal experience. After I found out that an old boyfriend cheated on me a few years back, I dealt with these same questions. Although I forgave him, our romance—like many other relationships that have experienced infidelity—did not survive. Instead of providing you with a long list of reasons why, I thought it best to give an illustration of how infidelity affects a relationship. 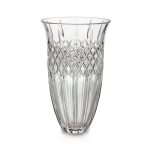 Before infidelity is exposed, a relationship is like a beautiful Waterford crystal vase that we adore—please note that Waterford crystal is the crème de la crème. We’re proud of our vase, so we make it a centerpiece in our living rooms so every visitor can behold its beauty. Unexpectedly, through an act of carelessness, your significant other bumps into the vase and sends it crashing to the floor, shattering it into one million pieces. The shattered vase is likened to the moment you find out that your lover has cheated. They are exposed. After you’ve cried over the broken vase, you begin to clean up the mess. Ever so carefully you pick up the big shards of glass and sweep or vacuum the surrounding areas. The clean-up is likened to your immediate reaction to the infidelity. After some time has passed, you are walking around the house without slippers and you suddenly prick our foot on a tiny piece of glass. “How did this piece of glass get into the vestibule?” you ask yourself. Although you’ve “cleaned up” the big pieces of glass where the vase actually fell, you soon realize that you didn’t pick up all the other teeny weeny pieces that scattered into other areas of the house. As a result, you refuse to walk around the house without slippers or thick socks on until you’ve cleaned up every piece of glass. (After breaking a few vases myself, it seems as though you’re never able to pick up every single piece. Good luck with that!) This sense of uneasiness is likened unto the phase of the relationship when you’re trying to “pick up the pieces” and get back to “how it was”, but you’re constantly reminded of that act of infidelity. You’re constantly on guard, constantly on edge. After infidelity has occurred in a relationship there are some truths you must realize and accept. Firstly, like the shattered Waterford crystal vase, the relationship will never be the same. The foundation of trust has been compromised and nearly destroyed. Face it, no amount of Krazy Glue can totally mend a shattered vase. Secondly, although you’ve picked up the “big pieces”- (he or she confessed and promised not to cheat again), trust issues, like the smaller shards of glass, will begin to surface quite naturally. Most people earnestly believe that they can live with the facts and put the past behind them (forgive and forget), but every now and then a little piece of glass called mistrust pricks their foot unexpectedly. Before they know it, they’re an insecure mess. They begin to question their lover’s every move: (Where have you been? Why didn’t you answer your cell phone? “Who is Kisha, did I ever meet her, why is she calling you all of a sudden?, etc.) . They don’t mean to be insecure, but they are. Their feelings of insecurity are totally warranted since they were thrust into this situation when their “boo” cheated—right? On the other hand, the guilty party will have to endure these kinds of questions until the offended party feels as though they can trust them again. Sometimes, the guilty party grows weary of being constantly interrogated and decides to walk away from the relationship or return to their cheating ways (usually because that chick on the side doesn’t question them- the vicious cycle continues). We can never control what is done to us. We can only control how we react to situations and what we do to others. If you find yourself in this situation, weigh your options and decide if you can live with the past and trust your lover again. If not, you may have to move on. But most importantly, you can not allow your past experiences to limit your options in the future. A good person may come along who shouldn’t have to suffer for your ex’s past sins and neither should you. Find the courage to love and trust again. I dare you! Remember, everything has beauty, including YOU. It just takes a true D.I.V.A to see it! You’re absolutely right! It takes courage to love and to trust again after your heart has been broken. More than that, it’s a conscious choice. We choose to love and to trust and we may also choose no to love or to trust. But here’s what I say, “Living without loving is not truly living.” Similarly, love without trust is just plain doomed. Love and trust go hand in hand. If only one exists without the other, then the experience seems incomplete. I choose to love and to trust. I choose to live completely. Quiana, I never fully trusted my ex after I found out that he cheated. I always had doubts. But you have to have the courage to trust if you ever want to love and be loved again. I just felt so violated and betrayed at the time. You are right about love and trust. I’m sorry about your valuable broken and shattered Waterford crystal which is synonymous to your heart. However opportunity is always knocking especially if you are willing to take risk and you have a forgiving spirit-you will be able to trust again. People say time heals all wounds. I don’t really agree with that philosophy because it may take more time for some and less time for others and in the meantime you can’t spend your life or existence in silence. You have to talk it out , walk it out, pray it out, shout it out and I do mean SHOUT! It depends on where you were before this all began. It depends on how healthy relationships were prior to, it depends on how you processed previous hurts, it depends on how your scares heal. There are so many variables and let’s not forget your faith. Sometime it takes faith to recover and sometimes faith will take your cover. I’m not sure if age or maturity is a factor because although I’ve been married I never experienced being in love- (outside of being in love with Jesus )- until I was physically separated did I allow myself to open up to another human being. I don’t regret the experience because it was most fulfilling. I’d found my Jesus in the flesh. I now know why and how Sarah could call Abraham “lord”. I was born again again. The woman in me came to life, she breathed, she laughed, she sang, she served with gladness. There was yet one thing that wouldn’t let this fairytale last in the within it’s framework. I had come to realize that maybe this wasn’t fare to me or him because I was well acquainted with my first love and my Jesus in the flesh hadn’t experienced that type of love relationship prior to me. Now he had known of a woman who he really cared for and something happened that broke his heart. However I’m speaking about a love beyond that an experience beyond that. Although I admire and love this brother even to this day. I had to ask his forgiveness and I had to return my heart to my first love. It was easy to turn away from my first love because I was angry with Him. I made a conscious decision to latch on to the one standing before me. It was easy to do because I had always admired and respected him anyway. In that situation neither of us wanted to be the first to say goodbye. That’s where my heart was breaking because I had to assume that position and be the first and it was a process of five years to let go. There were time I cried myself to sleep before I actually was able to pull it off. I think of it now and often even of him and I genuinely smile because although the situation may not have been ideal, I believe that relationship saved my sanity, gave me the capacity to love, allowed me to see Jesus and experience Jesus in the flesh. I wouldn’t trade that experience for anything. I prayed, crying out to God one day in my brokeness and my emptiness and I asked God to let me feel and touch Him. Shortly after I relocated and I was face to face with the only man outside of Jesus Alone, that I loved and will always love, a true friend. I thank God for all of my brokeness. Now I am healed and ready for the second half of my life as I continue to pray for my children’s wholeness in this life. God Bless you for your insight, your website and your vision for life. I Love You, Always and Forever, (and I’m straight)Smiles. Remember that gods in control and that anything is possible with god he is a soverign god. It can destroy a relationship I know been there. But only God himself can cause a restoration and healing if it is marriage and you too want deliverance and to be restored. Other than that. RUN FOREST RUN!!!!! Well I would agree with both. Its doable but extremely hard. It takes a lot of trust, communication, and sacrifice. If you’re missing one of those three traits….its doomed!!! PROVERBIAL NAIL IN THE COFFIN!!!!!!! The heart wants whut the heart wants. If its not at home anymore, this behavior WILL continue and the current relationship will be brief and impossible to maintain.The trust and bond between a loving couple is DESTROYED and most likely IRREVERSIBLE!!!! I agree with you 100%!…Once trust has been broken, a relationship will never be the same! it depends on the the person’s attitude & personallity, i’ve cheated ( more than once) & my husband is still w/me. he say he wants 2 work on it. I can see both sides now, but I think that once trust is lost, it’s never the same. You always have that lurking feeling in the pit of your stomach no matter how much you try to shake it. It’s a shame. @Laticia—Do you think your infidelity made your relationship stronger? Some people say it does. This also makes it hard on future relationships going forward. You may not trust ur mate no matter how hard he/she tries to show and convince you that all is right. We as humans often think that God has forsakin us because we have a tough time in relationships,health,wealth. Being tried,tested and remaining true is whut its all about. We WILL be rewarded……………. i guess, just let me know he truly love me in a weird way. and he’s willing to work things out instead of giving up on the relationship. Let us face the truth of the Word of God, no infidelity whichever name we may baptise it. The Bible has outlawed it period. It brings a lot of guilt on the parties and the emotional torture, unless their consciences are dead of course. @Marian—I’m very proud of you! Some women would’ve stayed no matter what, but I’m glad you got out! It takes a lot of strength to do that! Was it very scary in the beginning? true, God sais infidelity is a ground for divorce, but he also say if u want 2 stay together & work on it. u will be truly bless!! so its all up to the couples on what they choose. Ma bro Chumba yo right.D bible 4bids it,bt does it start,tz frm the small small things dat we consider av no effect,a wife calling d hubby ‘useless’. If these stops n there’s respect mo so luv,den no infidelity. Yes. So True.this Could Work. But what if The One That Has Cheated. Only Stops when Caught. Then in A Few Months they go Right Back? And it is the Same Person.he or Her had been Seeing all the time? @Bro Muchiri. Yes it begins on very small bits. Song of Songs 2:15 says catch for us the little foxes that spoil the vineyards. Let us not overlook any sign which jeopardize marriage. @MsDebbie—That is a serious problem you just described. I would think that there is much more to the relationship and some serious decisions have to be made like—where do you want to be and with whom you want to be with. Also, the one who was cheated on wants to still be in that situation. @David and Chris—Ok, it starts with small things, but who cheats? The man who was called useless or the woman who called him useless. I agree that infidelity is wrong, but what about forgiveness? What about the man in the bible who married the whore because God told him to do so? I forget his name. Shalena. I’ve Saw It Happen to Someone for Years. Alot like the Story in the Bible. I can’t think of the man’s name ether. And Yes Forgivness. Which I’ve done in my Life. Very true Shandia Scott Johnson!!! I thought about this after a few celebs and ordinary women really tried to harm themselves after infidelity was exposed. i’m not saying that breaking up wasn’t a good idea, but I think that public appearance and public pressures played a HUGE factor in the individual’s decision. They wanted to save face so they ended their relationship and now they’re beside themselves. I knwo of couples who stuck it out after infidelity. But it’s truly a case by case basis. Jesus said: sexual immorality is the only reason for a certificate of divorce. (Matt 5:32) So……. Some people leave a relationship because they feel that is what is expcted of them, especially if infidelity is involved. Relationships are as unique as our fingerprints. A lot of relationships are ruined by outside influences. I do not advocate cheating and I am not quick to tell anyone to leave their relationship either. What works best for one may not work best for me and at the end of the day, we all have to live with our own decisions. Iam not one to tell anyone to leave but me I wouldn’t stay. been there done it even wore the shirt. It really depends on the individuals. We must live with our decisions we make but do not let others be a influence to your decisions. This is your life ! it isnt the best option,but its the option safe n comfortable for all parties as at when that moment erupts. This situation is a case by case basis. Some people can get over infidelity, and some cannot. Knowing the track record of a cheater, I will take my out since the Lord tells me I can. Love you and wish you well, but I am out!